Not many countries can lay claim to having venues either in the midst of skyscrapers one way, and rugged mountains the others. Nowhere else in the world can you find such a high number of quality pitches with breathtaking backdrops. 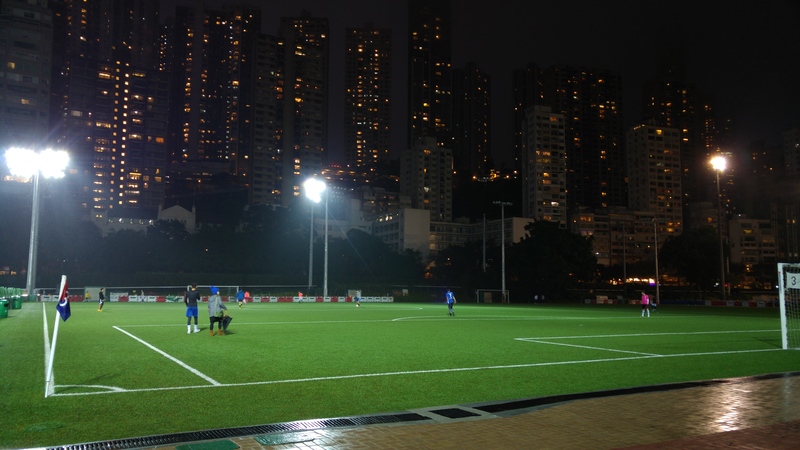 Well, almost.. Hong Kong law requires there to be access to free sports pitches for each village and town in Hong Kong, which is why there is an abundance of pitches to play at. Okay, so Hong Kong can get a bit (very!) humid which makes any waking moment slightly uncomfortable. However, don’t look a gift horse in the mouth! Any climate that allows you to don shorts and t-shirt the entire year round is made to play football. Put those longjohns away and get outside! One of the great tragedies of modern technology is it distracts kids from being… kids! Signing them up to play football in Hong Kong means they get to experience the great outdoors, make new friends and improve their confidence. Plus you can get a few extra hours each week to spend doing what you want. Whether that’s playing football yourself, enjoying a hard earned drink, or just lying down in a quiet, dark room! Playing football is a great way to stay active and improve your fitness. 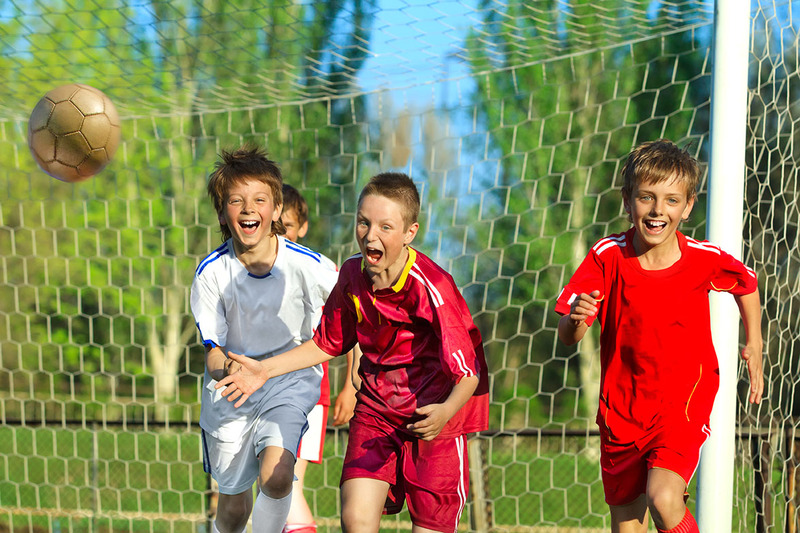 A weekly kickabout with friends or an organised league game has been proven to bring physiological advantages, but also psychological and social ones too. With endless numbers of pitches in Hong Kong (it’s the law, remember) you can get to see a lot of Hong Kong through just playing soccer. Hidden away amongst the bustle of HK island, dotted about on Kowloon or tucked up in the northern reaches of the New Territories, there’s always somewhere new to see. The standard of coaching in Hong Kong is steadily improving, especially with the influx of English-speaking and increasing number of qualified coaches each year. Most experienced and qualified coaches will know how to improve your game, and where the best place is to begin, so get in touch with your local coach to get started. Hong Kong is one of the only countries in the world to offer more than one chance at a trophy in tournaments. With the Cup being the most coveted prize, if you miss out you can still win the Trophy, Shield or Bowl, so you have a 400% increased chance of winning some silverware! Hong Kong is the travel hub of Asia. The close proximity of so many countries allows you easily hop in and out of exotic and interesting places, competing in tournaments and gaining invaluable travel experiences. If you want to head on tour with your team, check out our friends at CopaHub to see what’s going on in your region. The turnover of people is very high in HK, and people come and go with the regularity of a HK taxi driver speeding past your flailing signalling arm. As such, playing football, or any team sport, you will meet so many new people and make so many new friends. So get out there and don’t be a loner!